WELCOME to the official website of Houston911Truth! to join us or to subscribe to our email list click here! As a special service to the 9/11 Truth movement, minutes and audio recordings of the b 9/11 And Other Deep State Crimes Teleconference (beginning 6/29/11) are archived on a special jump page, which can be accessed by clicking here. This is a citizenry movement, one that relies on citizens and regular professionals taking action. It's great to see initiative being taken in a world of censorship. This isn't a democracy, if it was, this information would be public, not ignored. 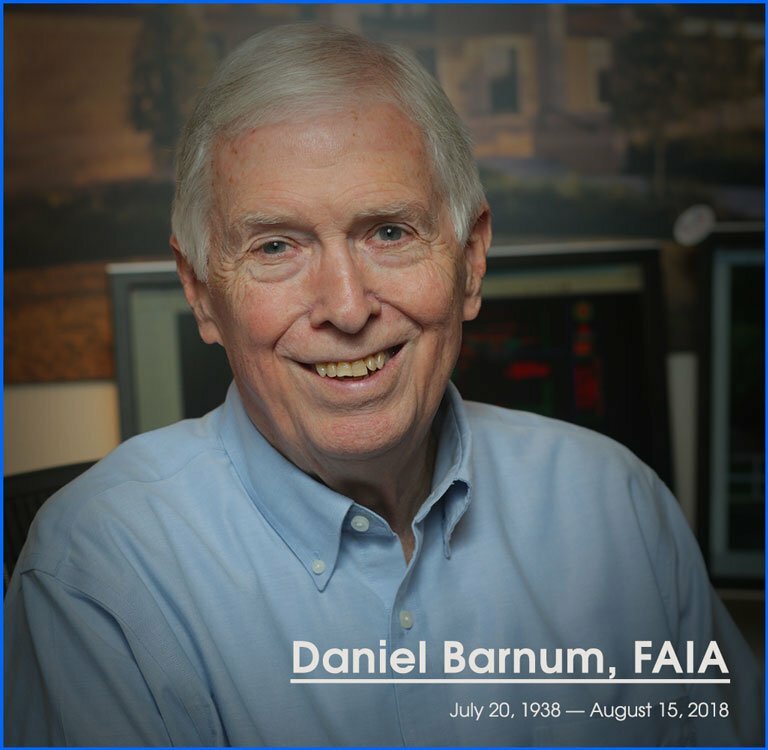 Dan Barnum was an inspiration to all of us in the Houston 9/11 Truth organization. As a local architect of stature in the community, he lent credibility and respect to our mission. He also gained national stature through his appearances in Architects and Engineers for 9/11 Truth informational videos, such as Experts Speak Out. He will be sorely missed by all of us who had the high privilege of knowing him personally. A nice tribute to Dan is published on the AE911Truth website. Click here to read it. Goodbye Dan. We know you're still with us in spirit!! where are the plane parts? If you live in the greater Houston, Texas area, and are one of the majority of Americans who has doubts about our government's explanation of the events of 11 September 2001, you've come to the right place!! We want to welcome you to join with us in learning more about what REALLY happened on 9/11, here on our website, at our public educational events and in our meetings. CAN NEWTON'S LAWS BE SUSPENDED? Download this free leaflet (.pdf) designed by David Slesinger which explains how NIST's official explanation of the collapse of the WTC buildings blatantly contradicts the basic laws of Newtonian physics, and challenges local academics to debate the question. Watch the above videos by Texas architect Ron Avery (one hour each) to learn the basics about why the official version of 9/11 cannot be true. This is an entirely science-based presentation! Close-minded, distracted, un-informed, ignorant, too-busy, addicted or intensely conservative people may not, for a variety of reasons, have the time, inclination, intelligence or political will to look at new evidence that might run contrary to their ingrained beliefs. Therefore they may unconsciously or reflexively reject the new information, even if the evidence is overwhelmingly and provably true. People who freeze, flee, faint or fight when they are about to receive information that contradicts what they thought they knew are often influenced by spokespersons for authoritarian entities that have hidden agendas involving survival, greed and power. Usually such thought-leaders are financed by wealthy elites of the ruling class that have easy access to powerful propaganda machinery. One only has to look at America’s various media empires - owned and operated by excessively wealthy, politically conservative corporations - whose real interests are well hidden. What they saw contradicted what the 24/7 corporate media reportage that was coming out of the Cheney/Bush/Rumsfeld/Rove White House and the NeoCons of the Project for the new American Century (google PNAC and 911). The disinformation was obediently echoed – and enforced - by the NSA, the FBI, the CIA, the Pentagon and by members of both political parties who couldn’t admit that they were destined to be part of a major conspiracy that would lead to the evisceration of the Constitution and the deaths of and disruptions to millions of innocent, unarmed men, women and children in the Middle East. According to the testimony of hundreds of interviewees, some of the explosions originated in the basements of the towers in the minutes before the collapses and after the fireballs had burned out at the top of the towers. One eyewitness who worked in World Trade Center # 7 (later to be demolished by obvious controlled demolition at 5:20 pm - on the direct order of WTC complex owner Larry Silverstein) testified that there were explosions in # 7 before any planes hit the other two towers. That man has since died under suspicious circumstances after giving his dramatic and dissonance-inducing testimony on live TV. Any honest viewer of even a few of the hundreds of YouTube videos on the subject of 9/11 will agree with those expert observers. The scientists among them have proven, beyond a shadow of a doubt, that all three towers came down at accelerating free-fall speed, meaning that there was nothing structurally intact below the top of the collapsing buildings. Pulverized concrete and suddenly transected steel columns offered no resistance to the falling buildings, a reality that totally destroys the absurd pancake theory that the White House and uninformed others want gullible people to believe. Devious opinion leaders and disinformation agents like to proclaim simplistic, seemingly plausible explanations for complex events, especially when corporate or state interests are at stake. These entities hire cunning communications experts that are geniuses at “explaining/propagandizing” everything with pithy slogans and 20-second sound bites that are articulated by “embedded” journalists and their “news reports” (that are actually propaganda pieces) that most of us patriotic (and very short-attention-span) Americans want to believe. Even incredibly complex situations like American invasions of or attacks against sovereign nations are often only given simplistic explanations whose opposing points of view are rarely given adequate media exposure. False flag operations are clever, pre-planned propaganda events that governments orchestrate in order for it to justify going to war. In addition to the obvious false flag operation of 9/11, the Berlin Reichstag Fire, Operation Northwoods and the Gulf of Tonkin episodes (google them) come readily to mind. False flag ops, breathlessly proclaimed and endlessly referred to (and therefore ultimately accepted as truth by most folks), fool many supposedly smart Senators and Representatives, as well as presidents. Of course, one must also wonder how many or our so-called leaders in the fall of 2001 were in on the deception or have since been part of the cover-up (and therefore an accomplice of the crime). Many citizens simply want to be led by a charismatic leader (“Fuhrer”, “El Duce” for example) or an attractive Prime Minister or President, but what happens if these citizens are incapable of using what may be seriously atrophied critical thinking skills? Do they wind up believing what they have been told over and over again by the ruling elites who have control of the White House, the Congress, the Supreme Court and fraudulent investigative committees like the 9/11 Truth [sic] Commission? Indeed that is the case. And what guarantees the success of the elite ruling class’s agenda is their control over what gets published or discussed in the media. Lone assassin theories and false flag operations are absurdly easy to propagate by endlessly repeating the sound bites and perpetually re-stating lies as truth. 19 brown-skinned, bearded Arabs and a dying, despised Osama bin Laden were easy patsies, just like the patsies Oswald, Ray, Sirhan and the pilots of Wellstone’s fatal plane. (See the documentary “Wellstone: They Killed Him” at http://www.snowshoefilms.com/wellstone.html and the black-balled [in the US] book exonerating James Earl Ray, titled “An Act of State: The Execution of Martin Luther King”. Also learn about the 1999 jury trial convicting Lloyd Jowers and “other unnamed co-conspirators” for MLK’s murder and listen to King family attorney William Pepper on YouTube at http://www.youtube.com/watch?v=mWS1KPCmOrI and at http://www.williampepper.com/). The master propagandist, now unconsciously emulated by the likes of Rush Limbaugh, Glenn Beck, Shawn Hannity and Bill O’Reilly was Joseph Goebbels, Hitler’s Minister of Propaganda and Public Enlightenment. As an example of the many official (and legal) repressive actions, Goebbels was able to suppress the showing of the classic antiwar movie “All Quiet on the Western Front” by, initially, having his obedient brown-shirted, thuggish, traumatized ex-combat vets (from World War I) in the right-wing SA set off stink bombs and released mice in the theaters. Goebbels subsequently banned the showing of that movie, which, by the way, is likewise frowned upon as being too truthful about the savagery of war by all militarized nations, including our own. Goebbels’ techniques of brain-washing eventually were supplemented by harsh legislation that was enforced by the Gestapo and punished by the People’s Courts (often resulting in the death penalty). Listening to radio broadcasts from the BBC was a capital crime in Nazi Germany. The Mafia - as is true of most of the other groups mentioned above - never admits their criminality, immorality or unconstitutional behaviors. The reason that they promote falsehoods or engage in other illegal activities does not involve cognitive dissonance. Rather, they remain silent (pleading the 5th Amendment if they ever get subpoenaed) because they are threatened, are afraid for their lives or livelihood or have been paid off. The rule in many such authoritarian groups is “if you rat on us – you die”. Such “traitors” are cold-shouldered, blackballed, imprisoned or disappeared, which was or will be the fate of all those whistleblowers mentioned above, but their motivation is not the fear of psychological discomfort. Many American may not care enough and perhaps are too distracted, too busy or too addicted (to brain-altering drugs, entertainment, videogaming, food, sports, religion, etc) to take the time to do their own research and to double-check the veracity of what has been proven over and over again about the WTC towers: they were demolished by unknown insiders who pre-planted the explosives and not by foreigners. That is both important and tragic, for 9/11 is the Crime and Cover-up of the Century. It is the most serious issue of our day, the cause of massive death, destruction and wars and one that is deciding the increasingly dismal future that may not be able to sustain a healthy living environment for those who are following us. To continue to ignore the truths uncovered by the multitudes of thoughtful, highly intelligent and courageous prophetic voices world-wide and to continue to believe the absurd official theories when there is overwhelming evidence to the contrary is to helplessly go along with the evil agenda of shadowy, exploitive, psychopathic powers that are not your friends; nor are they the friends of your children, your nation or the earth. To continue to be oblivious about the Crime and Cover-up of the Century will be putting our children and their planet in peril. Watch a great introductory 911-Truth video sampler here! You can learn something about nanothermite and its significance for the World Trade Center demolitions by reading this short introduction (requires Adobe Acrobat Reader...download for free). One-by-one, month- by-month, the 911 Truth movement is losing heft (that is, losing its fat, IMHO) as ambulance-chasers and romantic excitement seekers find the endless, unrequited waiting to celebrate uncertain victory too much for them and break off to switch attention to more-promising, self-fulfilling objects of interest. Meanwhile, the muscle, gristle, and bone of the cunning, if sometimes perplexed, beast that is you and I cubed remain. And many have observed – as if nobody ever thought of it before – that we need to get our collective head straight. If our purpose is to stand for and unalterably insist upon the truth – i.e., the scientifically-verifiable truth for which there is compelling neutral evidence, and not “received truth” from self-serving authority (unsubstantiated, incongruous, and mythic in character), then we have to sort out what that is. What evidence do we have to substantiate our inextricably-linked claims of criminal conspiracy and criminal obstruction of justice? Lately, there have been two main opposing tendencies within our movement. One, perhaps best represented by the Toronto Hearings of September 2011, is to showcase and cultivate a consensus of our most agreed-upon, least-provocative evidence, mainly concerning, by process of elimination, the Lower Manhattan sites, leaving the Pentagon and Shanksville largely aside, along with explanations other than controlled demolition. This tendency is, in my opinion, a little too tame, seeking to simply shunt aside, at least for now, as unnecessary or inconvenient all that its “expert” partisans find they can’t definitely explain. Going only as far as this self-selected camp is willing to go in presenting a position – presumably, to represent the whole movement – seems intended to offer a basis for an agreement, based on something like a suggested limited stake-out position for the powers-that-be, who would then, presumably, apologize and promise to desist and clean up their act (my foot). Now, let me be original at this point and remind everyone that “for every action, there is an equal but opposite reaction”. And that that’s not dialectics, but science. Voila! The Vancouver Hearings of last month! Let a hundred flowers bloom, the opposite tendency cried, because out of those exotic blossoms just may come the next great thing! Directed Energy? Explain what the source was and how it impacted. No planes / photo trickery? Well, seismographs did register something., and if it were so, it would still be establishment-done and massively covered-up. And Dean T. Hartwell’s explanations seem to cover everything, including epiphenomena most of us hadn’t heard of, better. I myself would go with unmanned aircraft in the diversion phase and pre-planted bombs in the demolition. And even though James Millette claims to have negated the results of Jones, Harritt, and company’s peer-reviewed analysis of the dust, it’s one unknown quantity at this point, at least, against nine more-eminent scientists in agreement and convincingly so to peer reviewers (who are in trouble now and suspended, I understand, because they dared betray the establishment). Dwain Deets seems to show us that simply looking and thinking harder and more systematically about the Shanksville anomaly can lead somewhere. Amidst the unseemly scrum over the exact nature of 9/11 phenomena at the Pentagon, still being played out, there awaits an accurate explanation. Just because we haven’t yet heard out all of the disputants there doesn’t mean we can shunt that theatre of action aside by any means. Nor should we conclude we yet know all of its truths. Meanwhile, the increasing amount of disinformation coming in almost daily tells us that the powers-that-be – U.S “security”, the Mossad, whomever, mere vassals all, led by puppets controlled in every move by invisible far higher-ups in the NWO – are paying attention. And they know that a ripple, unstopped, will turn into a tide. And a tide with enough droplets becomes a tsunami. Bye-bye, NWO. Listen to Houston911Truth member Ken Freeland's 2-hour interview with Ken Jenkins about the Citizens' 911 Truth Commission project as guest host of Kevin Barrett's Truth Jihad Radio on American Freedom Radio! Highly authoritative testimony from Major Doug Rokke, US army explosives expert, interviewed by Kevin Barrett on his Truth Jihad program, 12-11-10! Click on this cutting-edge book, The Mysterious Collapse of World Trade Center 7 by David Ray Griffin to read a summary review!